At Shady Spring Dental Care our dentists are committed to providing healthy smiles for the entire family, including your little ones. 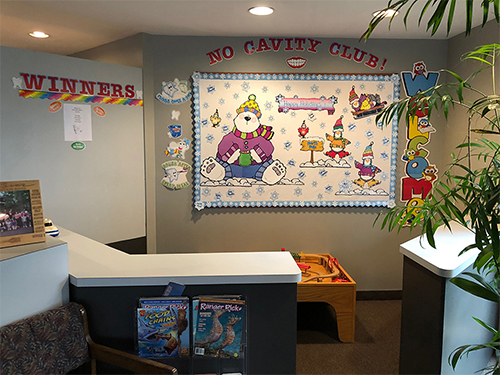 It's never too early to bring children to the dentist. Starting at a young age allows them to get comfortable with the dental environment and (hopefully) makes any future treatment less traumatic. We have a strong preventative program in place and employ the latest techniques to assure a safe, comfortable experience should treatment be needed. We believe it is important to establish a good oral hygiene regimen early in a child’s life, and we do this by educating both parents and child on the importance of keeping children's teeth strong and healthy and giving them the necessary treatment to maintain a healthy smile. While teaching children how to brush and clean between their teeth can seem difficult, parents can make the process easy and even fun, especially if you start early and stay consistent. It is important for children to have a comprehensive cleaning and exam every six months. By doing this, we are able to anticipate any dental issues and intervene before they become worse. Contact our office more information about Dentistry For Children.